FDM is proud to be leading by example in our efforts to create a more gender-balanced workforce. 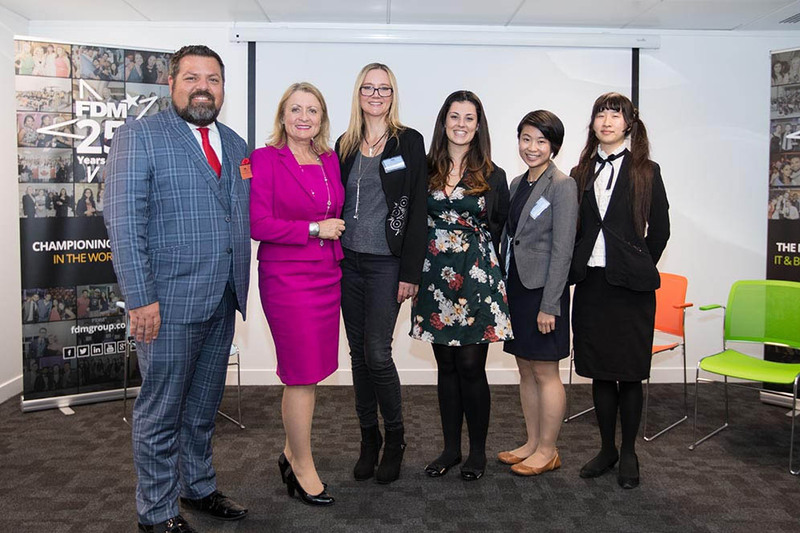 We are committed to supporting and encouraging women to pursue a career in IT and by doing so have seen a consistent rise in women joining our company. Amy is a Social Media Specialist in the Marketing Department for FDM in Glasgow. Amy graduated from Glasgow Caledonian University with a degree in Fashion Marketing. She kicked off her career within the social media sector where she gained experience in account handling, social media management and social media advertising. 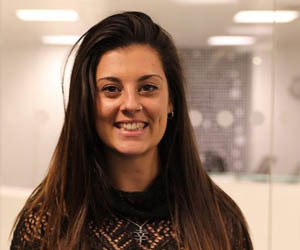 She realised that she wanted to work in-house as a brand champion - leading her to FDM. 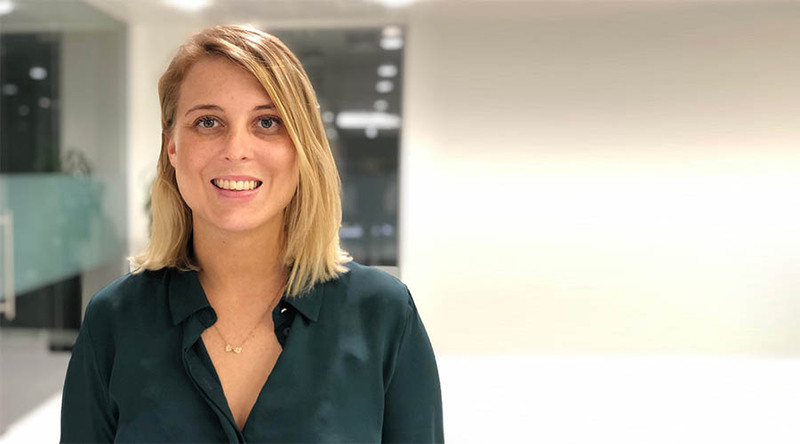 Amy manages FDM's global social media presences; sharing content from their teams across the globe as well as delivering social media strategy and training to the wider marketing team. Growing up, Amy lived in several different countries. This, combined with her Belgian and South African heritage has led to a fascination with people and the stories they have to tell, making FDM, with its diverse nature, the perfect fit. “There are so many fascinating stories from people at FDM. Everyone has a different perspective to share, and it’s wonderful to be able to share their stories from across the globe with our social media audiences,” says Amy. In her spare time Amy is an avid foodie, fashion lover and reader who loves exploring the city of Glasgow, which has been her home for over 8 years (the longest she’s lived anywhere). Abies is a Diversity and Inclusion Advisor for FDM in London. 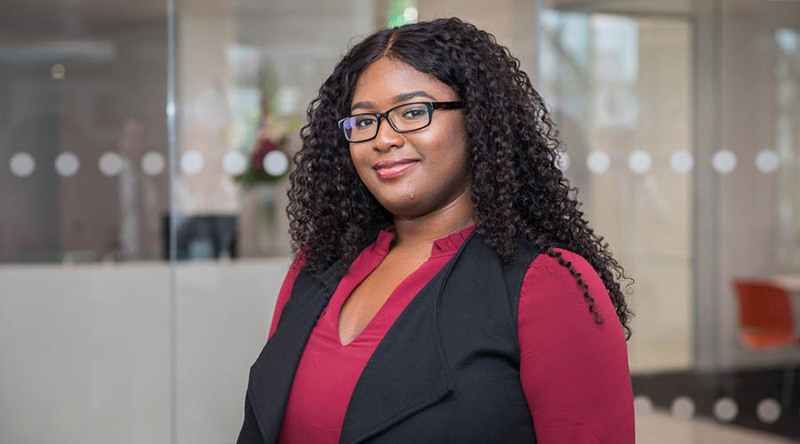 Abies first joined FDM in 2016 as a Diversity & Inclusion Project Coordinator Placement Student. She then returned to the University of Hertfordshire to complete her degree in Business and Event Management. After graduating this year, she has returned to FDM and is now the Diversity and Inclusion Advisor. “I returned to FDM after university because of the strong bonds I made with people in the business and the opportunity to progress my career. Everyone I work with is passionate about diversity and inclusion which makes me proud to work for this company. I’m happy to have such a varied role and have been able to travel to the other offices across the UK. My role involves supporting initiatives to create a more inclusive working environment. A main part of my role is looking after our Schools Engagement work across London, Leeds and Glasgow. This involves going into schools to promote careers in IT and work experience opportunities on offer at FDM. 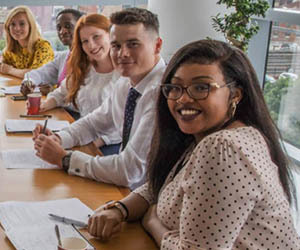 We do this because we recognise the importance of upward social mobility for young people from disadvantaged areas and know that schools are the right place to start,” says Abies. Divya is a Consultant, Business Analyst in Toronto. Divya graduated with a Bachelor of Commerce Degree from Ryerson University. 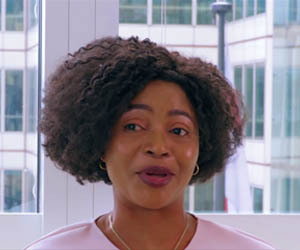 She discovered her passion for business and IT in high school but found she lacked the necessary connections to start her career. 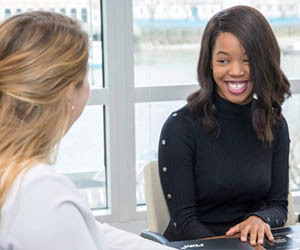 FDM’s program allowed her to bridge the gap between her education and the working world because of FDM’s positive relationship with its clients who definitely helped add to her credibility as a consultant. 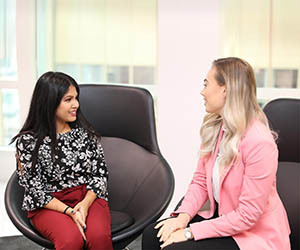 Divya feels that her training at FDM Group prepared her to “hit the ground running” on-site as a Business Analyst at Intact Financial Corporation. She credits FDM with not only providing her with solid training in a fun and engaging environment, but also teaching her the value of persistence to achieve her goals. 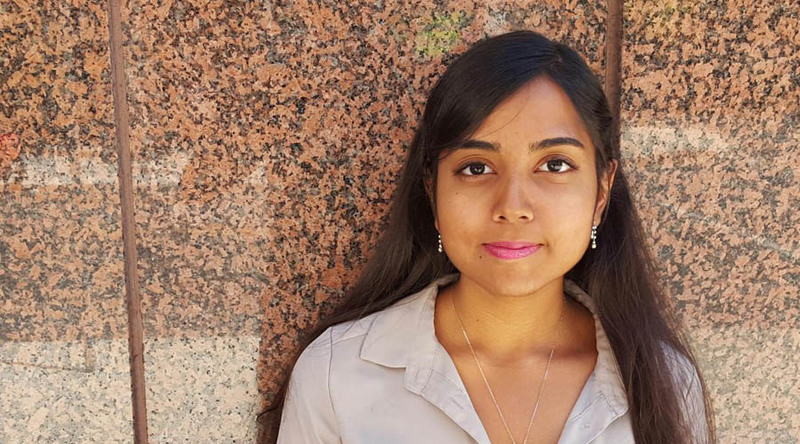 A career defining moment at FDM for Divya was when she realized that “nothing is intimidating once you start.” Divya’s colleagues may not know that she is an award-winning filmmaker and loves to read non-fiction books about personal development and leadership. Apply for one of their many jobs today and be a part of the FDM teams.